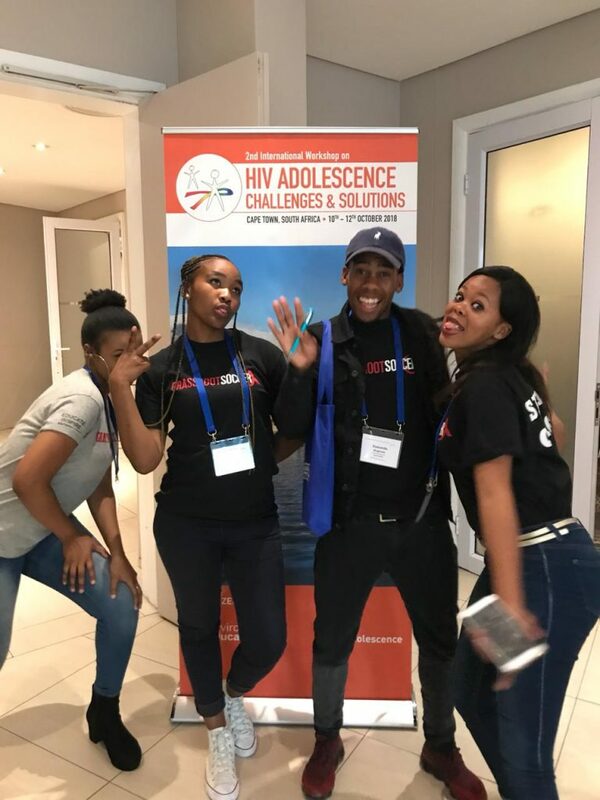 CAPE TOWN, South Africa — Over 200 participants attended the International Conference on HIV and Adolescence in Cape Town in mid-October. 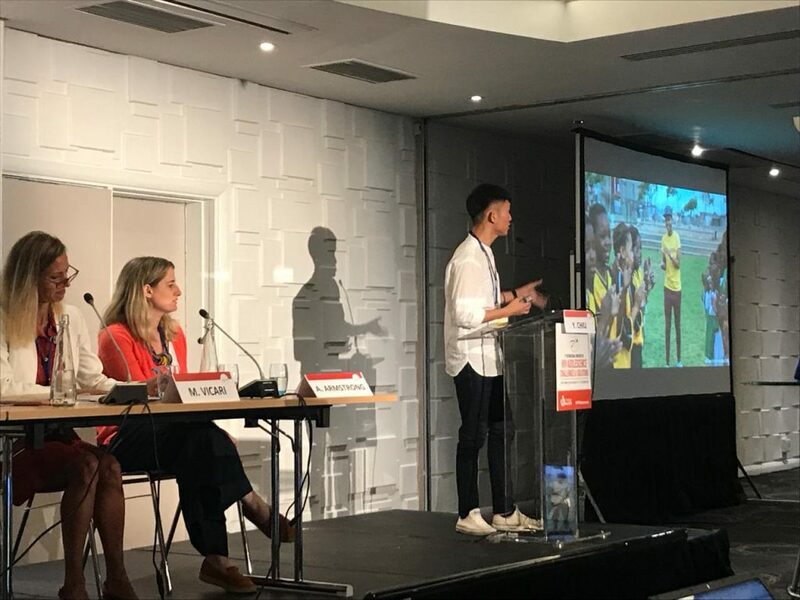 Grassroot Soccer (GRS) was proud to attend the second annual event that saw research scientists, program implementers and – most importantly – young people coming together in a combined effort to put adolescents at the heart of human-centered design for global health. The convening was made possible by support from Johnson & Johnson, ViiV and Gilead. In attendance from GRS were Director of Research, Curriculum and Innovation Chelsea Coakley, Curriculum Writer and Coordinator Li’Tsoanelo Zwane, Zizipho Mfeketo, Siyasanda Mngenela, and Anelisa Piki. Additionally, eight young men representing SKILLZ programming in Khayelitsha were present for the conference’s final day. The event provided the opportunity for members of GRS to share ideas, listen intently, and learn in a collaborative space about how to best serve youth most impacted by HIV and AIDS. Information shared on day one of the conference was focused primarily on clinical trials. What can research scientists teach GRS about working with youth? The design process behind the trials was of special interest, centered around the following idea: Designing for adolescents means designing differently. Thought leaders from WITS RHI and Desmond Tutu HIV Foundation, among others, shared lessons in creating accessible environments that best facilitate youth participation. Critical to the mission of GRS is the role of young people as implementers, a topic that was examined extensively on day two. Implementation science, or the study of strategies to promote uptake of health-promoting behaviors, was discussed through the lens of engaging young people. GRS representatives were pleased to see GRS highlighted in not one but two presentations – the first of which was facilitated by Yi-Chi Chiu, Research Assistant at Chang Gung Memorial Hospital in Taiwan, who presented on a wide variety on international examples; Yi-Chi cited GRS as an example of engaging young people as implementers, citing Coaches who deliver health information using a fun, sport-based platform. The second reference came from the Ministry of Health in Zimbabwe, who praised the accessibility of GRS programming. On the conference’s final day, Chelsea Coakley co-facilitated a session discussing innovation to scale with Nicholas Niwagaba of Uganda. Other abstracts presented include an examination of adolescent boys´unique sexual and reproductive health needs in Nigeria through sport-based programming; preliminary results demonstrate a need for accurate HIV and sexual and reproductive health (SRH) information and life skills-building among participants, supported by continued advocacy around access to accurate SRH information in forums appropriate for adolescent boys. In short, GRS programming is working well to address the SRH needs of adolescent boys. 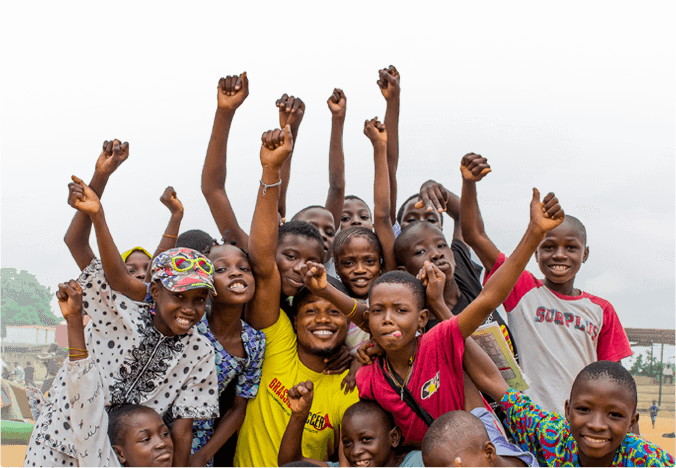 Further research presented by GRS studied the care and support needs and interventions required for adolescents living with HIV, specifically surrounding SRH and mental health. The findings help inform how to appropriately scale relevant programs, and suggest that a multidisciplinary approach to supporting the unique needs of adolescents living with HIV can effectively achieve positive employability and treatment outcomes in a diverse array of settings. Grassroot Soccer is continuing our pursuit to best serve the needs of youth around the world. The opportunity to collaborate, listen, and share with leaders in the global health space can prove transformative for our programming.